Brace yourself, Victorian era, and all Jane Austen fans. The first trailer of the live-adaptation of Seth Grahame-Smith's mash-up of Jane Austen, Pride and Prejudice and Zombies, is here. Perhaps the greatest gratification one can obtain from the trailer of a film like Pride and Prejudice and Zombies is to troll any friends of yours who are into Jane Austen or Downtown Abbey and quietly observe how they get the shock of their life when they see a good ol' Victorian undead lady in action. 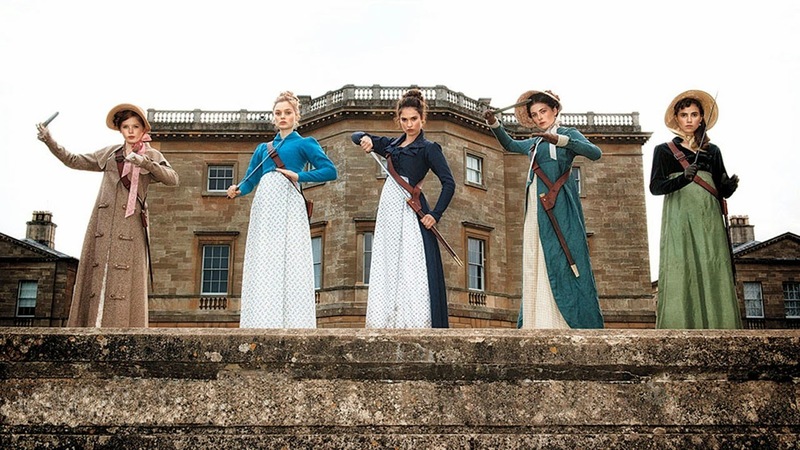 Indeed, the first trailer for the live-adaptation of Seth Grahame-Smith's mash-up of Jane Austen, Pride and Prejudice and Zombies, featured just that. High society, sophisticated and earnest period love story quickly deteriorating into a full-blown unapologetic zombie apocalypse with the Bennets, Elizabeth (Lily James), Lydia (Ellie Bamber), Mary (Millie Brady), Jane (Bella Heathcote), and Kitty (Suki Waterhouse) kicking undead asses left, right, and center with style. The casting of Lily James may just be an unintended plus here with the added Cinderella element, making the polarizing second half all that more grisly fun. Check out the UK trailer embedded right below for a quick look at love in a Victorian era England... with zombies. And here's the first official image for the film. PRIDE AND PREJUDICE AND ZOMBIES is a fresh twist on Jane Austen’s widely celebrated novel. A mysterious plague has fallen upon 19th century England, the land is overrun with the undead and feisty heroine Elizabeth Bennet is a master of martial arts and weaponry. Casting aside personal and social prejudices, Elizabeth and Mr. Darcy must unite on the blood-soaked battlefield to rid the country of the zombie menace and discover their true love for one another.. 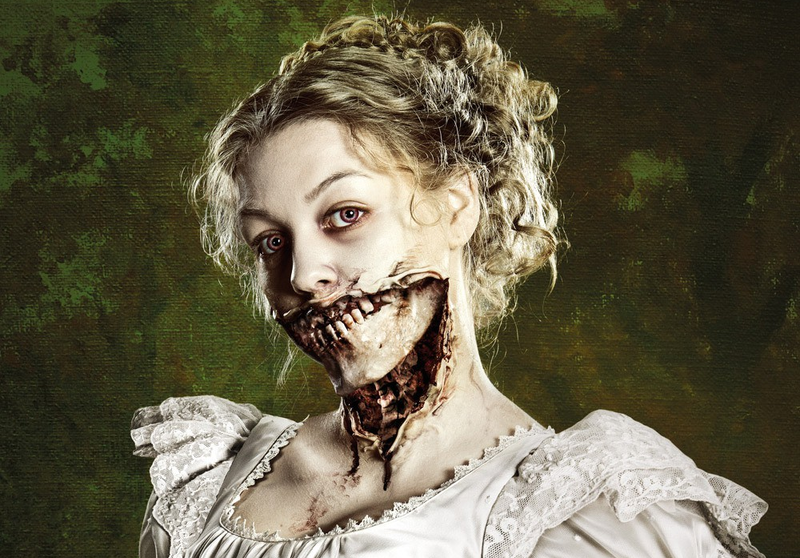 Pride and Prejudice and Zombies is currently scheduled to be released stateside on 5th February, 2016 and on 12th February in UK.